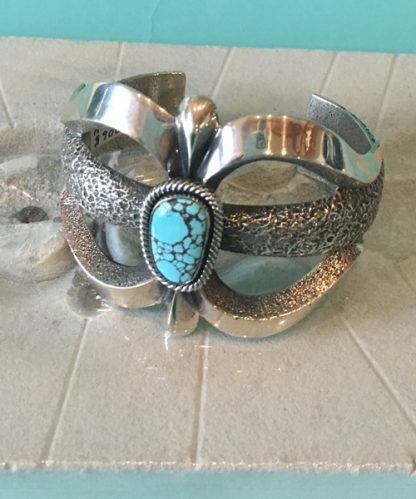 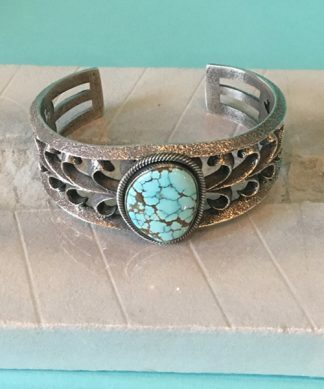 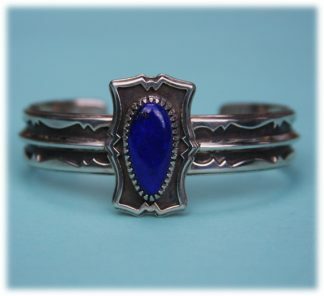 This sterling silver Tufa cast cuff bracelet, by artist Aaron Anderson, is set with a turquoise stone from the Kingman mine. 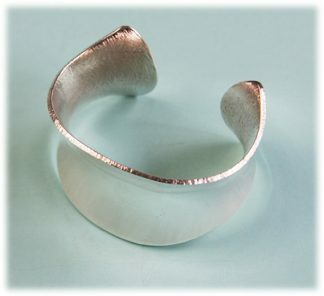 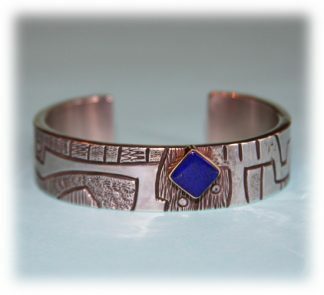 The bracelet measures 5 3/8″ on the inside and has a 1 1/8″ opening. 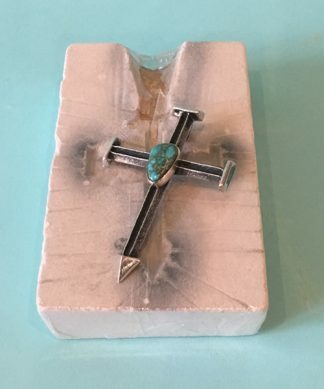 The tufa cast stone is included with the piece if desired.